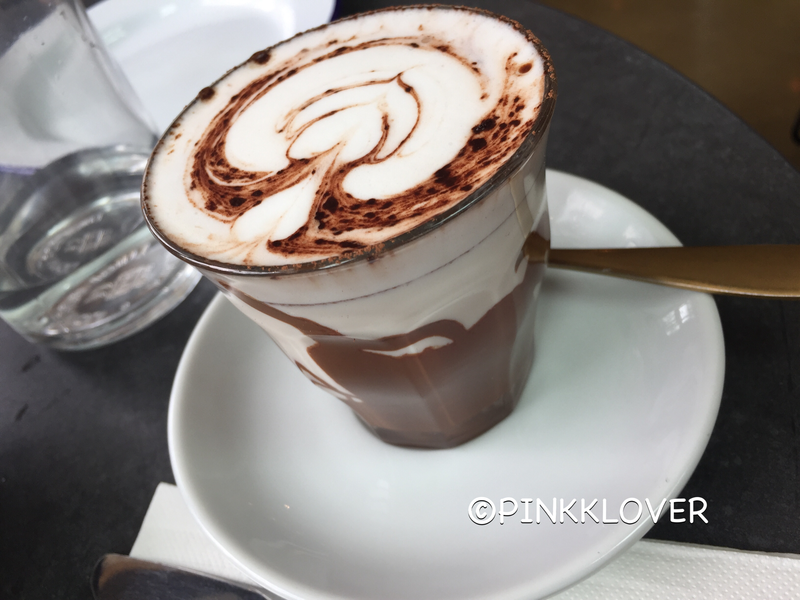 HATTRICK @ Macquarie Centre – PINKKLOVER. Yummy foods close to university = another place to feast! I should’ve taken a photo of its interior because it was just spacious and lots of natural light. 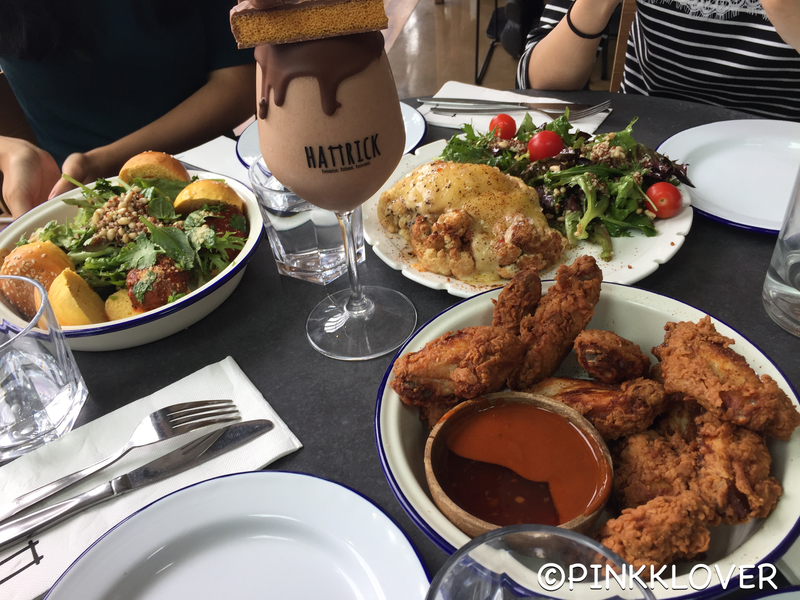 It’s a perfect place for a brunch with friends, away from the bustling shoppers inside Macquarie Centre. Let’s get started! First of, this was my first time as well as my friends’ first time here at Hattrick. The menu featured so many choices that we decided to pick a few dishes under “share the love” to literally share the love. I haven’t shared the drinks menu (they uploaded it on their fb page) but it’s creative, indulging and has their own signature style (similar to The Vogue Cafe and The Missing Piece – also located at Macquarie Centre). This dish was damn HOT! The chilli sauces complemented each other and boy did they leave an impact. It was spicy but I definitely enjoyed it! The wings were crunchy, tender and is on par with Korean’s Fried Chicken – yes, it’s that good! Basically, baked cauliflower topped with a generous amount of melted parmesan & garlic. It also comes with a side of salad which helps cut down the greasiness of the cheese. Very fresh and packed with flavour! This was a big dish featuring four brioche sliders (just perfect for us) filled with beef meatballs, nap sauce and fennel. This dish was not bite sized ( I know it looks small) but filled with a lot of goodies! I haven’t mentioned this, but I haven’t seen so many pine nuts and quinoa on a dish (except at home) – quite generous! I was going to order one of their signature smoothies but decided against that because I know that it would’ve been quite filling (my friend couldn’t even finish hers!). So I ordered a regular hot chocolate which provided a nice sweetness to end my meal here at Hattrick’s. Overall, fantastic food, friendly staff and lovely atmosphere. I would honestly come back here again for the food. This place is suitable for anyone and I would even bring my laptop here next time to study whilst eating – it’s that comfortable!